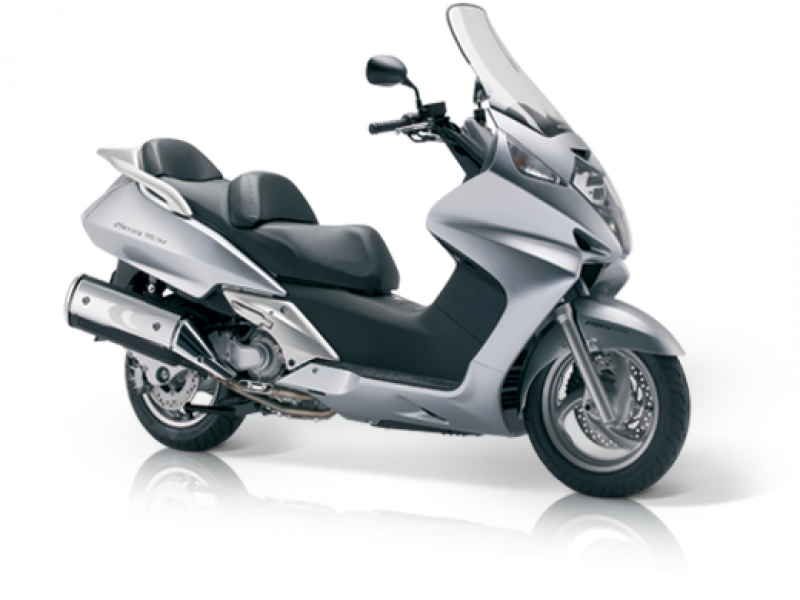 The Silver Wing's ample size, powerful performance and sumptuous comfort are well-deserving of its reputation as the luxury sedan of the scooter world. This elegant vehicle cruises majestically along city streets, country roads and high-speed motorways alike, delivering a riding experience of such effortless control and comfort that it feels like flying. 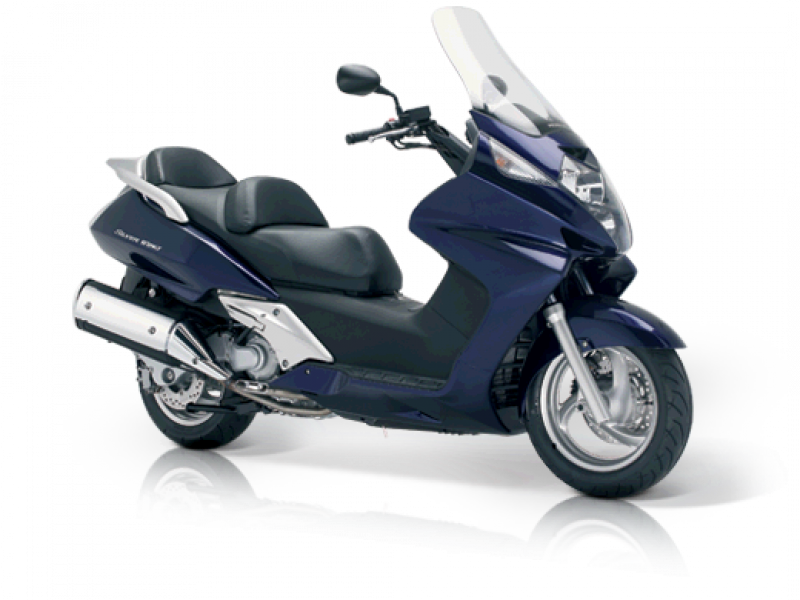 The Silver Wing's full-sized and razor-sharp styling incorporates spacious riding accommodation, superb wind protection and all-day convenience. Its fuel-injected twin-cylinder engine delivers delicious surges of acceleration past queues in and around the city, while heavy-duty suspension and superior braking mean comfortable, confident control in all kinds of traffic. Capable of holding enough equipment for a weekend away, and with a broad, comfortable tandem seat, its possibilities extend well beyond the city limits. Here's a luxury-class ticket to freedom from the daily grind. VPL Terms and Conditions: New FJS600A SILVERWING registrations from 01 April 2017 to 30 June 2017. Subject to model and colour availability. Representative Example based on 5.9% VPL; Offers applicable at participating dealers and are at the promoter's absolute discretion. Indemnities may be required in certain circumstances. Finance is only available to persons aged 18 or over, subject to status. All figures are correct at time of publication but may be subject to change. Honda Franchise Dealers are credit brokers, not lenders. Credit provided by Honda Finance Europe Plc. Cain Road, Bracknell, Berkshire RG12 1HL. Honda Financial Services is a trading name of Honda Finance Europe Plc. a company registered at Companies House No 03289418. Honda Finance Europe Plc. is authorised and regulated by the Financial Conduct Authority, Financial Services Register number 312541. PCP Terms and Conditions: New retail FJS600 SILVERWING registrations from 01 April 2017 to 30 June 2017. Subject to model and colour availability. Offers applicable at participating dealers and are at the promoter's absolute discretion. Representative example based on 3 years 5.9% PCP. Excess mileage rate applies. Final payment includes £10 option to purchase fee. You do not have to pay the Final Payment if you return the bike at the end of the agreement and you have paid all other amounts due, the bike is in good condition and has been serviced in accordance with the Honda service book and the maximum annual mileage of 4,000 has not been exceeded. Excess mileage rate applies should this be exceeded. Indemnities may be required in certain circumstances. Finance is only available to persons aged 18 or over, subject to status. All figures are correct at time of publication but may be subject to change. Honda Franchise Dealers are credit brokers, not lenders. Credit provided by Honda Finance Europe Plc. Cain Road, Bracknell, Berkshire RG12 1HL. Honda Financial Services is a trading name of Honda Finance Europe Plc. a company registered at Companies House No 03289418. Honda Finance Europe plc is authorised and regulated by the Financial Conduct Authority, Financial Services Register number 312541.